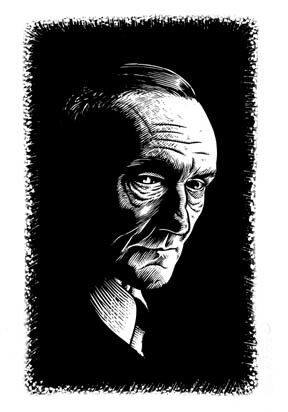 Portrait of Beat Generation icon William S Burroughs, from YETI magazine, image measures 5" x 8" on approx. 8" x 9.5" illustration board. Pen and ink.